We Indians are crazy about 'pakore' .. don't you think so ?? We make fritters out of almost everything - 'potato', 'eggplant', 'okra', 'cabbage', 'chili', 'lentils', 'chicken', 'fish' and so many more ?. 'He' adores only two vegetables in his life, one is potato and the other one is cauliflower. You can impress him with any type of cauliflower dish. So, is there any doubt about what I'm talking about ?? Obviously about 'fulkopir pokora' or 'gobi pakore' !! 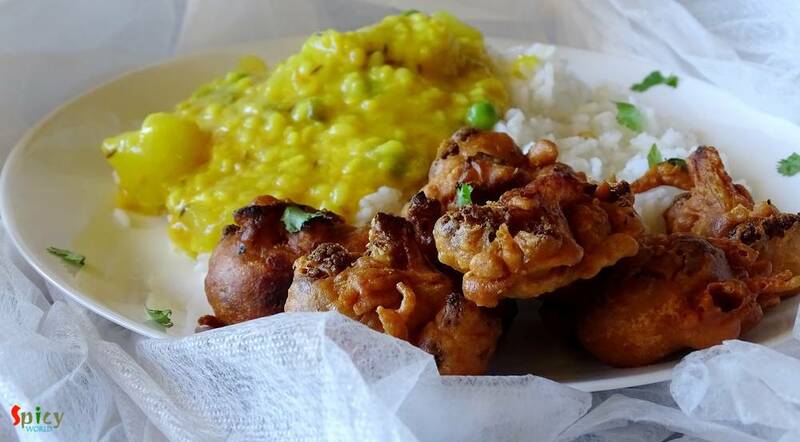 One of our favorite weekday's meal is 'rice', 'veg daal' and these fritters. 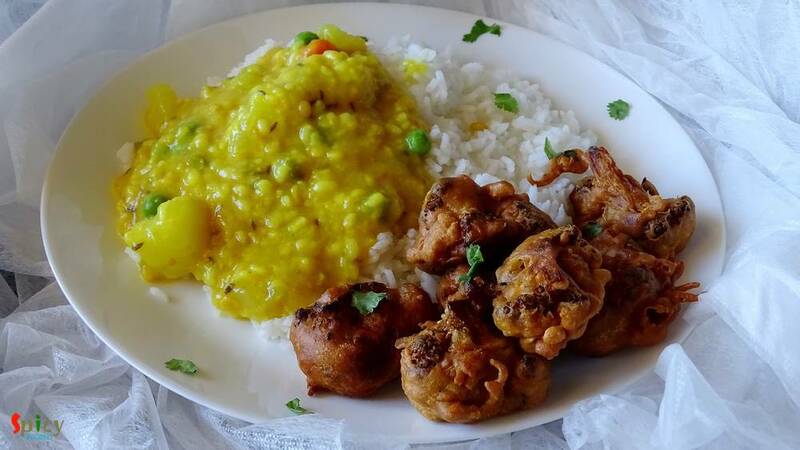 Generally in two ways you can make these fritters, one - you have to boil the florets before frying and two- you can stir fry them before deep frying like we Bengalis do. Believe me, the taste becomes delicious. 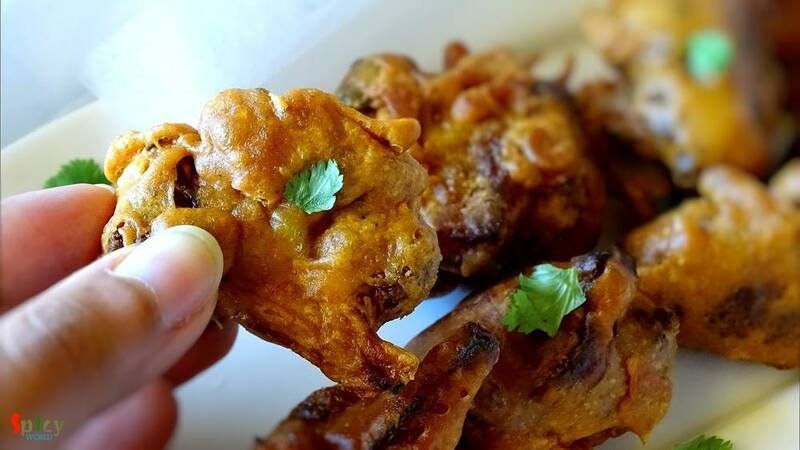 You can enjoy your lunch more with these crunchy fritters. 12 - 15 medium size florets. Half cup of besan / gram flour. Pinch of kalonji / kalojeera / nigella seeds. Half Teaspoon of red chili powder. Half Teaspoon of garam masala. 2 pinches of amchoor powder / dry mango powder. Half Teaspoon of turmeric powder. Put the besan, salt, chili powder, garam masala, amchoor powder, baking powder and nigella seeds in a mixing bowl. Slowly add water and make a semi thin batter. Then drizzle very little oil. Mix it. Let the batter rest for 10-15 minutes. Now heat 2 Teaspoons of oil in a pan. Add cumin seeds in hot oil. Then add the florets, salt and turmeric powder in hot oil. Mix the florets in high flame for 5 minutes. Then remove them from pan. Heat lots of oil in a pan. Take one fried floret, dip it into the batter and then put it in hot oil. Do the same with rest of them. Fry them for 4 to 5 minutes or till they become golden in color. Sprinkle some chaat masala before serving. Enjoy them hot with a cup of tea or pair them with rice and daal.